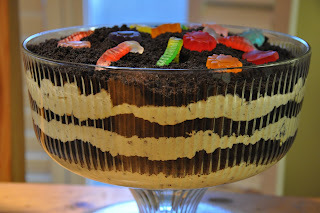 Another dessert I made while sweet kiddos were staying with us was this Dirt Cake! :-) I found some gummy flowers to put on the top of the cake along with the gummy worms which allowed for a pretty variety! Whisk the milk and pudding together in a large bowl until smooth. Let stand five minutes. In another large bowl, beat the butter and cream cheese together with a hand mixer on medium speed until fluffy. Beat in the powdered sugar until smooth. Add the pudding and beat until smooth. Fold in the Cool Whip. Crush 1 package of Oreos so that there are some fine crumbs, but also some larger pieces. There needs to be a variety. Fold this into the pudding mixture until evenly mixed. Finely crush the other bag of Oreos. In a large clear glass trifle dish, pour about a third of the pudding mixture into the bottom and spread to smooth. Sprinkle with a layer of about a third of the finely crushed cookies. Top with another third of the pudding mixture on top of the cookie layer, then repeat with another cookie layer. Spread the remaining third of the pudding on top, then top with the remaining cookie crumbs. 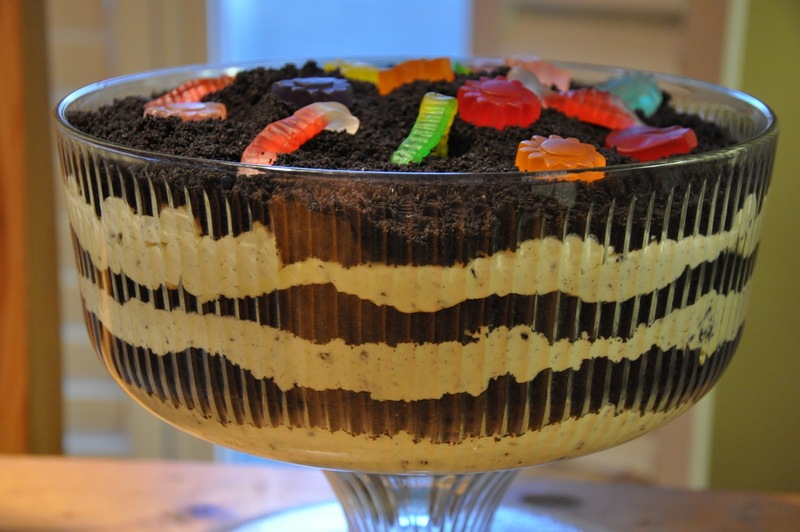 Add gummy worms on top to decorate. 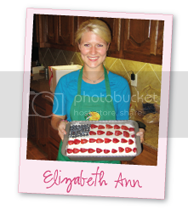 Chill for several hours to overnight before serving.